What's a vacation without a souvenir? Our beach resort is convenient to all of the best options for shopping in Sarasota, including St. Armand's Circle. Downtown Sarasota: A visual feast of unique shops, boutiques, antique stores and art galleries, Downtown Sarasota invites guests to explore the exciting jewels that hide between Gulf Stream to the west and Orange Avenue to the east. After collecting all of your new treasures, head to one of the nearby restaurants the city is celebrated for and rest your feet as you indulge in a mouthwatering meal you’ll remember long after the dishes have been cleared. 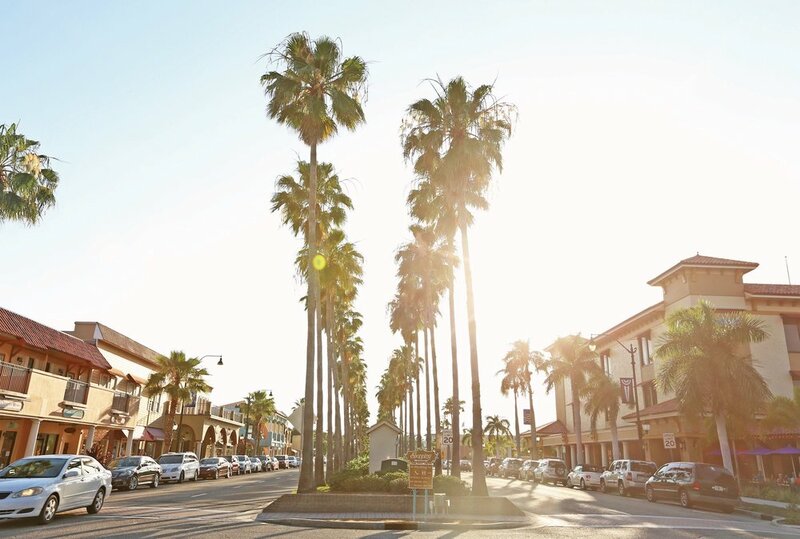 St. Armands Circle: Discover fine shops surrounded by a tropical setting at St. Armands Circle. Boasting everything from unique gifts and trinkets to one-of-a-kind sand sculptures, this inspiring shopping destination promises the rare Sarasota treasures you’ve been searching for. Ellenton Premium Outlets: Looking for luxury brands without the luxury price tags? Shop all of your favorite stores, from Banana Republic and J.Crew to Kate Spade and Lacoste, at the outdoor Ellenton Premium Outlets. The Mall at University Town Center: From designer clothing and accessories to books and electronics, The Mall at University Town Center has something to satisfy every shopper’s needs. Peruse popular lifestyle brands such as Lily Pulitzer, Michael Kors, lululemon athletica and Stuart Weitzman, or spend the day exploring large retailers including Saks Fifth Avenue and Macy’s.